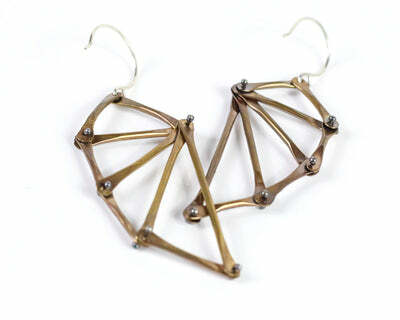 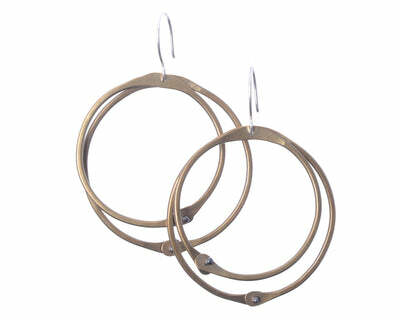 Architectural and feminine in design, these are earrings are mixed metals to meet the latest fashion. 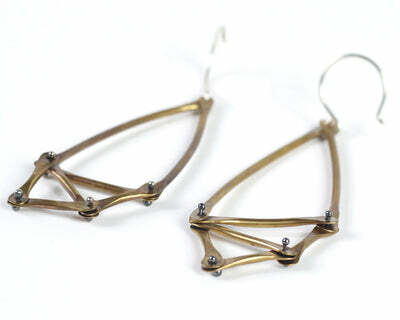 Oxidized silver meets oxidized brass in geometric opposing shapes. 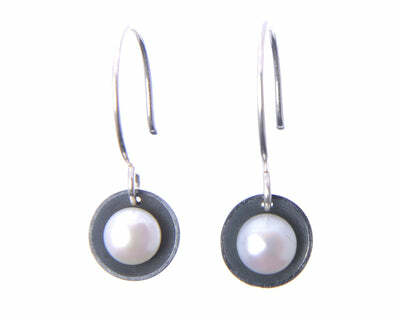 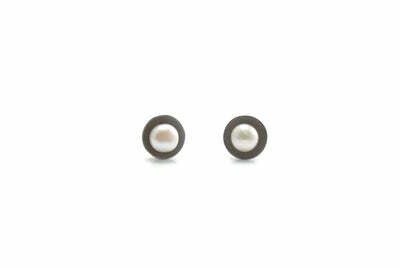 The earrings hang on a sterling silver earwire at appx 2" long.